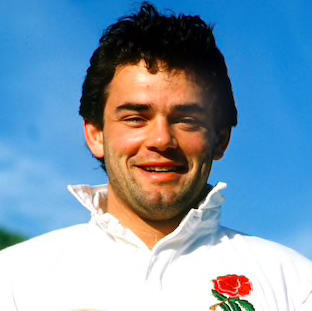 TOTAL FLANKER...a rugby blog: England Rugby "not arrogant enough"
The RFU believe that the problem of a "perceived lack of arrogance" has been solved with the appointment of 52 year old former captain Will Carling to the England management team as a "leadership mentor." According to head coach Eddie Jones the England team has suffered over the last few years from being "too likeable". "It's important that the team connects with its arrogant past" he said. "Because I'm not English, I can't teach them how to be arrogant and unlikeable. I can teach them how to be a chippy little Aussie but it's just not the same. "I've always thought we have possibly had a gap in that area. I've tried with Owen Farrell and Mike Brown, and Maro Itoje shows promise, but it's important that these guys work with someone who truly understands England's history of arrogance. "We want to get back to being everyone's most hated team. We need a figurehead, a face that the whole world wants to slap. "Will Carling is that face."